The northern Red River Valley is rich in history – both pre-historic and settlement eras. In partnership with the counties and the ND State Historic Preservation Office, the RRRC provides professional services to the Walsh and Pembina County Historic Preservation Commissions. These organizations strive to highlight and preserve history within the counties. Each of the commissions meet on a bi-monthly basis to review and discuss ongoing and potential projects to be undertaken or supported. The commissions also seek guest speakers to provide community presentations on relevant topics. In 2014, the Walsh County Historic Preservation Commission hosted John Hoganson, State Palentologist, to provide information on the pre-historic era within the region. Click here for a pre-historic life map of North Dakota. In 2013, the commissions completed the National Register of Historic Places nominations of The Edinburg General Store and Vikur Lutheran Church. The commissions purchased and presented a bronze plaque for these properties in 2014. Click here for more information on the National Register of Historic Places Program. In the late 1980s, the RRRC assisted Pembina and Walsh counties to become Certified Local Governments (CLGs). 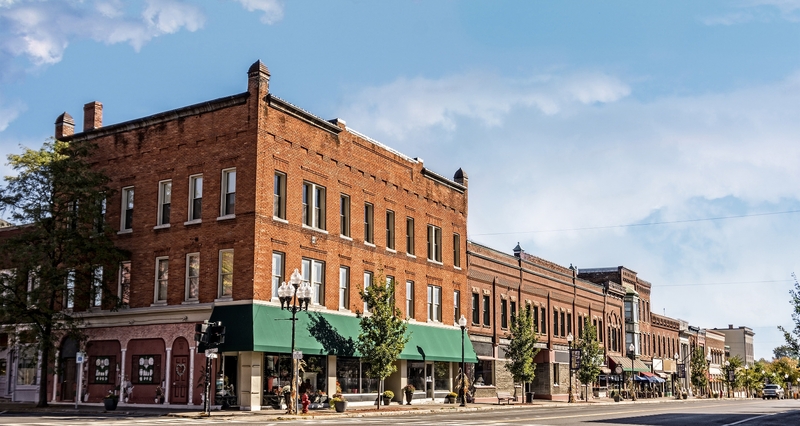 A CLG is a unit of local (town, city or county) government that has met the requirements of, and has applied for, certification to become a fully participating partner in national and state historic preservation programs. Requirements include passage of an ordinance committing the local government to developing and maintaining a historic preservation program along with a set of management policies, rules and procedures supportive of the professional principles of, and the Secretary of the Interior’s standards for, historic preservation. Upon certification, the CLG may apply for competitive grants to undertake its historic preservation program to protect and enhance the CLG’s historic resources. Geocaching is a real-world, outdoor treasure hunting game using GPS-enabled devices. Participants navigate to a specific set of GPS coordinates and then attempt to find the geocache (container) hidden at that location. The Walsh and Pembina Historic Preservation Commissions (HPC’s) want to capitalize on this new and exciting pastime, taking advantage of the popularity of using GPS technology to tell the story of the historic sites in both counties. The HPC’s have collaborated with existing tourism entities in each county to educate residents and visitors of the goals of historic preservation. Their new goal is to increase the marketing potential of the existing preserved historic sites caches by adding up to 25 geocaching sites in both counties at proposed National Register sites, current National Register sites, sites of historic significance, cemeteries, and near the Red River Oxcart Trails. Geocaches will be placed at historic sites and landmarks and will also be used to mark historic trails. To achieve this end, the Pembina and Walsh HPC’s have joined forces to establish the Pembina/Walsh Historic Geotrail. Geocaches have been placed at various sites in both counties and a trail passport has been devised for beginner and avid geocachers to track their visits to these sites and acquire a free geocoin as a reward. Pathtags and logbooks will also be utilized to monitor activity at the sites and to reward visitors to the sites. Local tourism or historic site trinkets will also be included in some of the geocaches. Specialized GPS Units will be purchased for use by those without smart phone capabilities. The specialized units can be checked out at Icelandic State Park, west of Cavalier, ND for us by geocachers. How do I get started on the Pembina/Walsh Geotrail? The only necessities are a GPS device or a GPS-enabled mobile phone so that you can navigate to the cache, and a free Geocaching.com Membership. There is a wealth of information about geocaching on this website. If you want to download a GPS application to your smart phone, we recommend loading GPS Essentials. Once you have registered at geocaching.com, do a search for caches in Pembina and Walsh counties. Those on the trail will be labeled as PWHT geocaches. Read the description and GPS location of the geocache(s) and start your treasure hunt! To track your progress on the PWHT and to lay claim to a Pembina HPC or Walsh HPC pathtag, you need to download the PWHT passport v.2 here. When you find a geocache at a trail site, you must write down the passport code found inside or on the geocache, the date you found the geocache, and the GC code. Once you have found at least five (5) geocaches in one county, you can claim your pathtag by mailing your passport complete with site, date and GC code, along with your name and mailing address to the address noted on the passport. The passports can also be dropped off at the Pembina County Museum, Icelandic State Park, or Red River Regional Council. Remember, to get your pathtag, you must provide a name and mailing address. Once you get your pathtag reward, you may also log it in at www.pathtags.com The pathtag serial number is on the back of the coin!